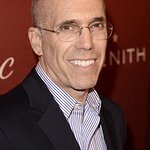 The SAG-AFTRA Foundation announced today it will present its Patron of the Artists Awards to entertainment industry leader, WndrCo Co-founder and NewTV (working title) Founder Jeffrey Katzenberg and trailblazing Director/Producer/Writer Spike Lee whose most recent film BlacKkKlansman opened earlier this year. The award honors industry leaders who are champions of the arts and whose history of fostering creativity and creating opportunities for actors has made a positive impact on the acting profession and the performing arts. The SAG-AFTRA Foundation’s 3rd annual Patron of the Artists Awards benefit takes place Thursday, November 8 at the Wallis Annenberg Center for the Performing Arts in Beverly Hills. Previous recipients of the SAG-AFTRA Foundation’s Patron of the Artists Awards are Director/Writer/Producer Judd Apatow, Director/Producer Kathryn Bigelow, Director/Writer/Producer Lee Daniels, Producer Megan Ellison, Director/Producer Rob Marshall, and Netflix Chief Content Officer Ted Sarandos. The Patron of the Artists Awards event includes musical performances with ticket sales benefitting the SAG-AFTRA Foundation’s vital assistance and performers programs for SAG-AFTRA artists, as well as its Emmy-nominated children’s literacy program Storyline Online. The 3rd Annual Patron of the Artists Awards benefits the Foundation’s vital assistance and performers programs for SAG-AFTRA artists, as well as its Emmy nominated children’s literacy program Storyline Online. For more information about sponsorship and tickets, visit patronawards.com.